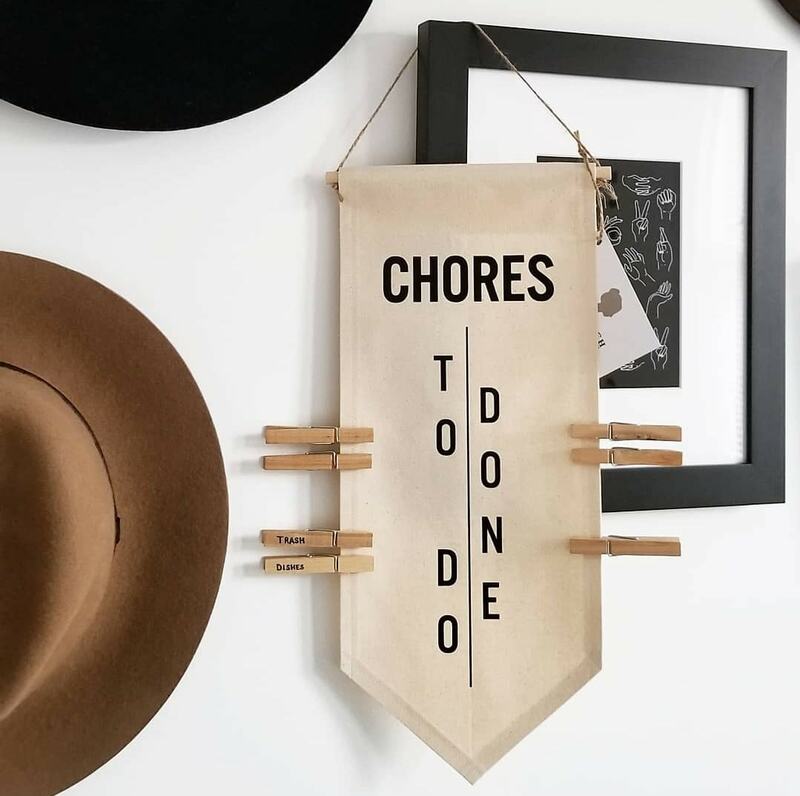 This listing is for one handmade fabric chore chart. Please choose which color combo and design you'd like from the drop down menu when checking out. 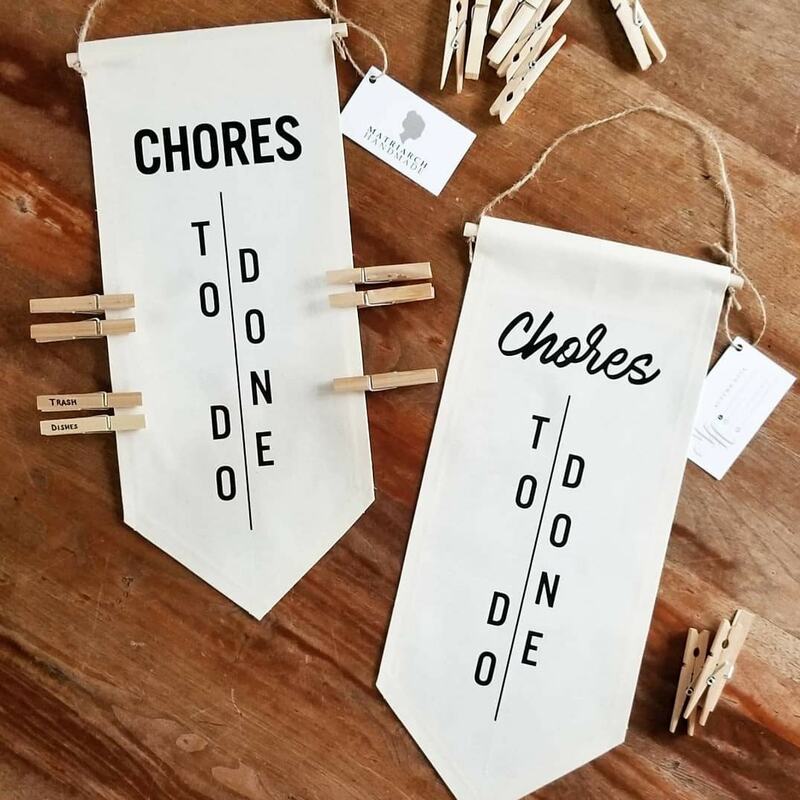 Banner comes with 12 clothespins in which you will be able to customize with the chores of your choice.